It’s easy to love someone when it’s new and fun, but what would it be like if you lost everything that makes your relationship so secure? As cliché as it sounds, marriage has to endure “for better or for worse.” Know yourself first. Are you the type of person who makes hasty decisions? Or have you always known what you want? Are you secure in where you are with your life personally right now? These are all questions to consider before jumping into a bond with another human that is meant to last forever. Think about how much you’ve changed in your life to date. We live in a world of fast transitions — from schools to careers to friends to homes to hairstyles and everything in between. Before you make a vow, you have to be able to honestly evaluate whether or not you know what you want in the long term. It’s easy to get swept away by love, but marriage is about permanence. As far as length of engagement is concerned, it doesn’t matter how long or short the two of you are engaged. If you want to plan a quick wedding and tie the knot immediately, that’s great. If you have an engagement that lasts a few years — like Kristen Bell and Dax Shepard — then that’s fine too! 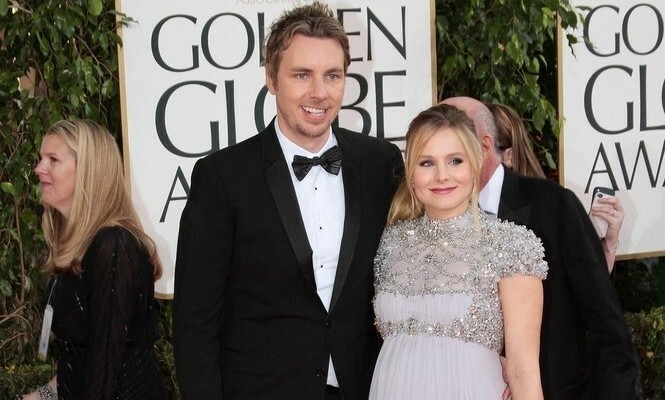 Related Link: Kristen Bell and Dax Shepard Are Married! Some couples want to be engaged and take that next step together but put off the actual wedding because the timing for marriage isn’t quite right. They may know they want to spend their lives together but recognize that they need time to sort out finances, job promotions, buying a house, whatever it may be. It’s impossible to base your love and marriage on statistics and what other people are doing. People are quick to give their opinions on other people’s relationships. We’ve all heard of the couple who dated for five years and then broke up and met their true love. We’ve also heard about the couples who were engaged and married within six months and are still living happily ever after…and those who aren’t. The only real way to know if you’re ready to be married is if you have zero doubts when it comes to being by your partner’s side for the rest of your lives. No matter what, always make sure you’re getting hitched for the right reasons. How did you know when you were ready to get hitched? Tell us in the comments below!